A. Wait for one hour after your last drink before you drive home. B. Organise before hand a way of getting home where you are not the driver. C. After you have had a few drinks, start to think about how you will get home. Correct. Organise a taxi, dedicated driver that doesn't drink, or public transport to get home. In this article you'll find out the blood alcohol concentration (BAC) limits for NSW, whether you can calculate what your BAC is, and whether you can speed up the elimination of alcohol from your system so you can drive again sooner. It is always safest to not have a drink at all before you drive as any amount of alcohol impairs your ability to drive. Alcohol is a depressant which means it slows down your ability for your brain to work. All other licences: 0.05ml/100ml of blood. Learner drivers are developing their skills therefore the reduced limit is in force until they have proven themselves able to drive. This is because alcohol affects reaction times and learner and P-plate drivers already have to cope with many situations they may not be familiar or comfortable with, and that take their entire concentration. Some products such as medicines, mouthwashes and food can contain alcohol without you knowing. While you can try to convince a court that you didn't have an alcoholic drink or other substance with the purpose of consuming alcohol there is no guarantee you will win, and it could cost you a substantial amount in legal fees. Check the ingredients and if in doubt, don't drive. You can ask your doctor if he or she has prescribed medication for you whether it's safe for you to drive. Can you calculate your blood alcohol concentration? A recent meal will slow the absorption of alcohol. Drinking alcohol on an empty stomach means the alcohol is absorbed quickly. Eating after drinking doesn't reduce your blood alcohol level. 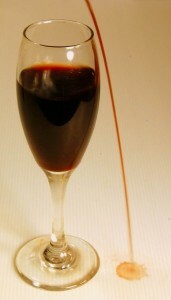 Some drinks are high concentration in relation to their volume and can have insidious levels of alcohol. Alcohol concentration can vary from as little as a couple of percent up to more than 40% in some spirits. It's often difficult to tell exactly how much you've drunk because drinks come in non-standard measures, they get topped up, they could be mixed and so on. Your physiology will determine how long it will take for your blood alcohol concentration to return to normal. If you stop drinking at 2am it can be 8pm at night before you are down to zero if you have drunk heavily. Many people are booked for drink driving the morning after they have been drinking. Even with a moderate level of alcohol it can be late morning or early afternoon before you are safe to drive again. The only way to get your blood alcohol down is to wait. Adding other liquid does not affect your body's ability to eliminate the alcohol. What speeds up alcohol breakdown in your body? A healthy liver will process around 1 standard drink per hour. You will also sweat, breathe and urinate out small amounts of alcohol, but this is minor in comparison to what the liver does, so even a sauna will not make much difference. You might also think that taking a drug that speeds up your metabolism, such as cocaine, might help, but this is not the case, either: alcohol binds to cocaine, keeping both of them in your system longer. Time is the only thing that will sober you up. Water will reduce your hangover by preventing dehydration and helping eliminate toxins, but it won't speed up the process. Neither will a shower, black coffee, food or any type of other substance. It's always an offence to refuse a police breath test. If you are convicted of driving with a blood alcohol level above the limit you will be fined, you will lose your licence and you could be sent to prison. Alcohol will slow down your reaction times. It gives you more confidence, but less ability. It makes it easier for you to misjudge other drivers' speed and direction, and for you to judge what speed you are approaching obstacles on the road. If you are riding a motorbike, alcohol affects your balance. When drivers have been drinking, the crashes they are involved in are generally more severe. On Thursday, Friday and Saturday nights the proportion of serious injury crashes involving alcohol rises to about 50% - it's the leading cause of serious vehicle accidents. Legal drugs and medications can have a similar affect on your driving as alcohol. If you mix legal or illegal drugs and alcohol if can have a dramatically more severe effect on your motor coordination skills and other skills required for driving. Driving in Australia on a New Zealand or UK licence? Be especially careful if you have moved from New Zealand or the UK their limit is much more than ours at 0.08 (80mg per 100ml of blood, although New Zealand's is changing on 1 December 2014 to the same as here), and what might have previously been legal for you to drive within New Zealand or the UK might not be under the limit here. Also, New Zealand has a zero limit for those aged 16-19, but not if you are 20 or older, regardless of the licence type. How confident are you in your knowledge about drug and alcohol use on NSW's roads? See how many questions you get right in our free 20-question alcohol and drugs quiz.